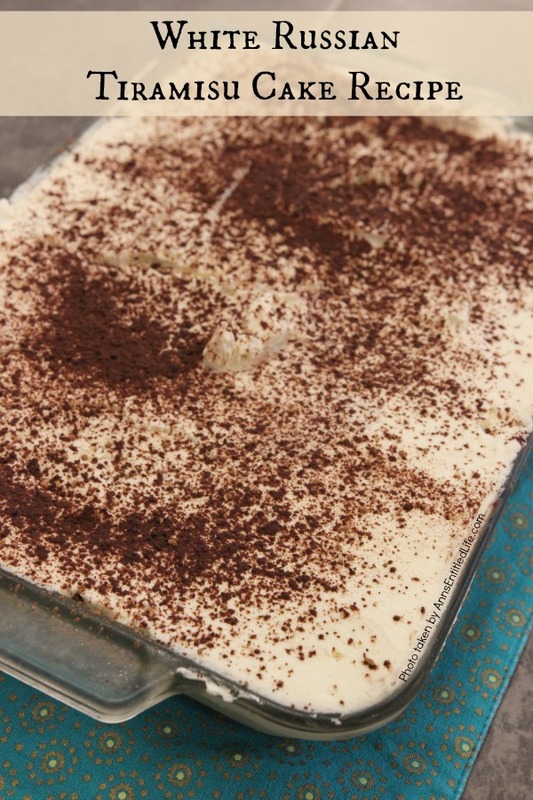 This no-egg, no-cooking, tiramisu recipe comes together quickly. It can be served immediately or made the day before your special event or dinner. The melt-in-your-mouth creamy, rich, coffee-cocoa goodness of this white Russian tiramisu will have your friends and family asking for seconds! Tiramisu is my favorite dessert. If I see it on the menu at a restaurant, I adjust what I am ordering so I can have dessert and I order a tiramisu dessert. In a café for breakfast or a quick coffee? Tiramisu. On a buffet line? Tiramisu. At a dinner party where one of the dessert choices is tiramisu? Yeah, I am going to choose tiramisu each and every time it is offered. Tiramisu is oh so good! Gotta love the Italians and their decadent desserts. Yum! 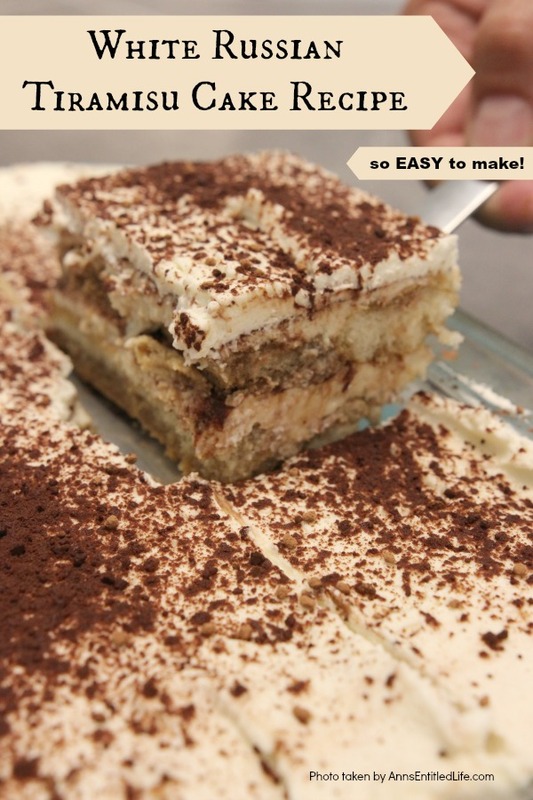 If you are looking for a simple to make tiramisu dessert (seriously) that is not only delectable and mouthwatering, it packs a WOW-factor! 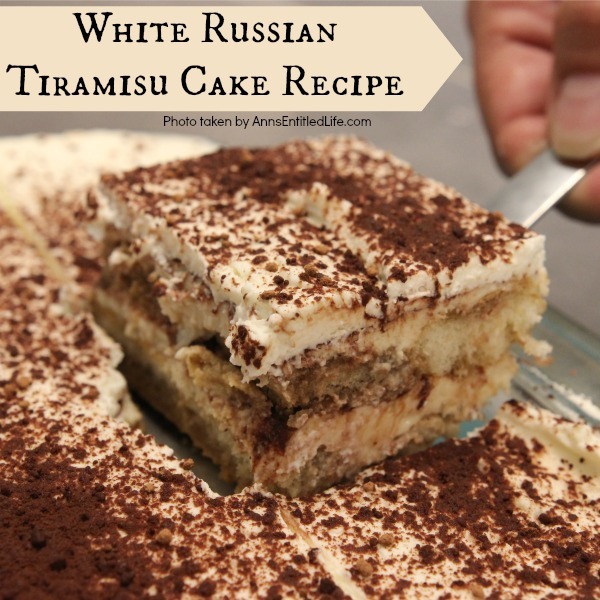 Make this phenomenal White Russian Tiramisu Cake Recipe for your next gathering, party, or for family dinner. • Look at your friendly neighborhood Italian store for reasonably priced Lady Fingers anytime of the year. • Mascarpone is usually located in the fine cheese section of your store when you cannot locate it in the dairy aisle. It comes in a small tub. 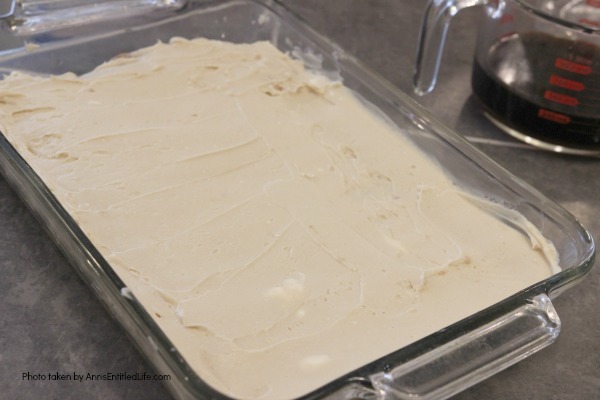 • In place of the vanilla, if you really like coffee, use a coffee extract. You could also use Kahlua. 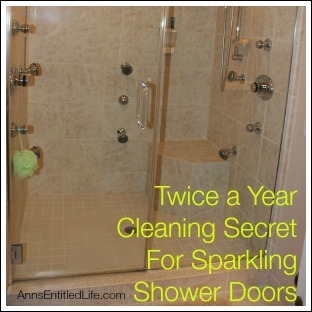 • This lists 48 lady fingers. 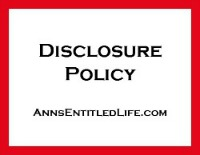 Depending on the size of the lady fingers in the package, you may end up using less. • Place a mixing bowl in the freezer to chill. • Combine 3 cups of strong, cooled, brewed coffee and ¼ cup of Kahlua in a container. Set aside. 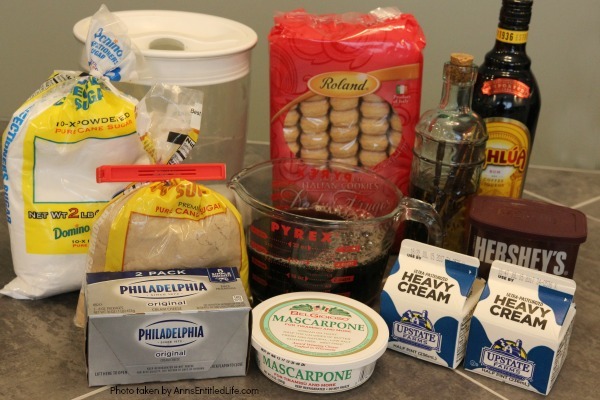 • Using a stand mixer combine mascarpone, cream cheese, white sugar, brown sugar, and remaining ¼ cup of Kahlua. Beat until smooth. 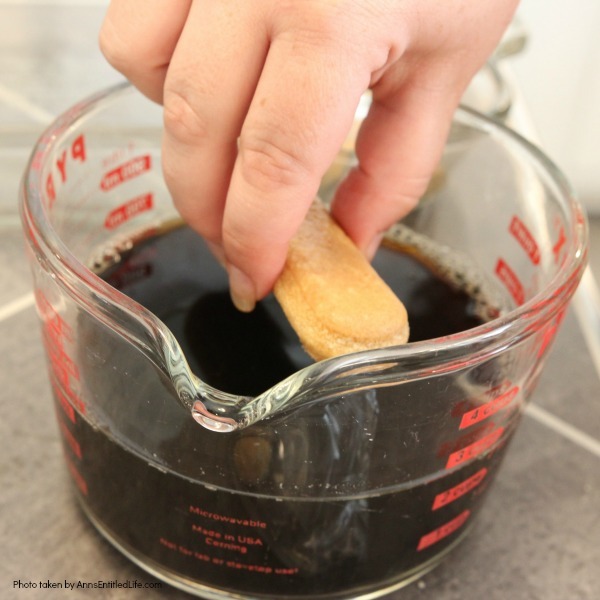 • Dip a lady finger into the coffee-Kahlua mixture. 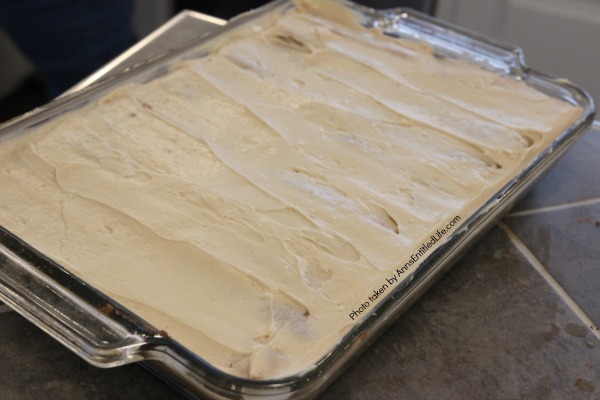 Place the lady dipped-side down in a 13″ x 9″ pan. Repeat until the bottom of the pan is covered in dipped lady fingers. 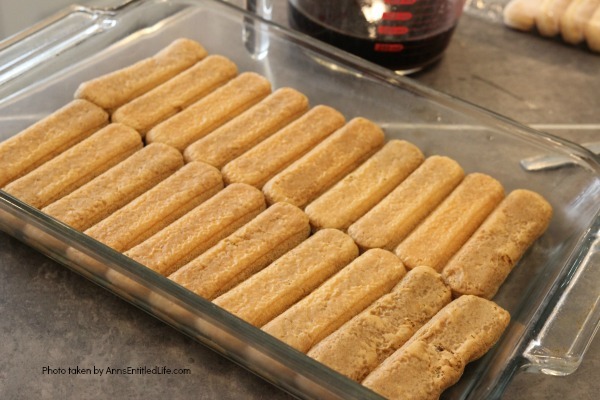 • Spread a layer of the cheese mixture over the lady fingers. Dust with cocoa powder. • Repeat for a second layer. Set aside. 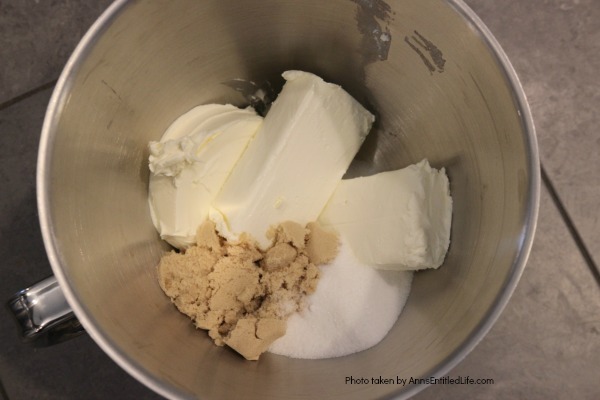 • Remove the chilled mixing bowl from the freezer; using a stand mixer combine heavy whipping cream, vanilla, and confectioners sugar. Using the whisk attachment beat on medium speed until soft peaks form and the mixture is firm. Do not overbeat. • Spread whipped cream on top of the pan containing the lady finger/cheese mixture. • Dust with cocoa powder. • Optional: if you like, you may top with chocolate shavings. 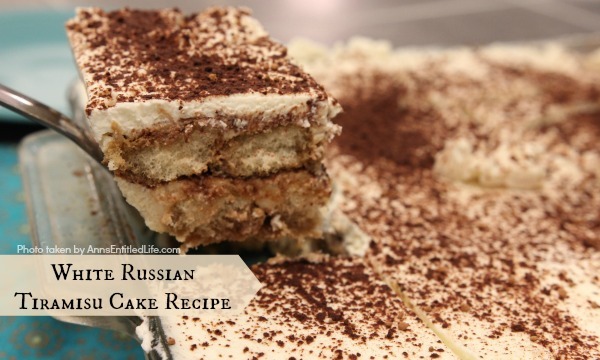 • To print the White Russian Tiramisu Cake recipe click here. YUM!! 😋 Ann, your recipe and photo look so yummy I’ve decided to make this for a Thanksgiving dessert. 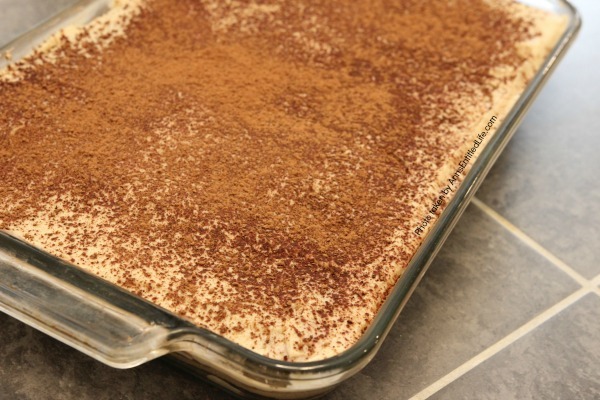 But 1st, having never made Tiramasu, I must make one and try (eat) it for myself!! Thank you for the detailed instructions. This should be a piece of cake! SO Good!!!!!!!!!! I made it for Thanksgiving (without testing first!) and my family loved it! The recipe was so easy to make, your directions and photos so helpful. 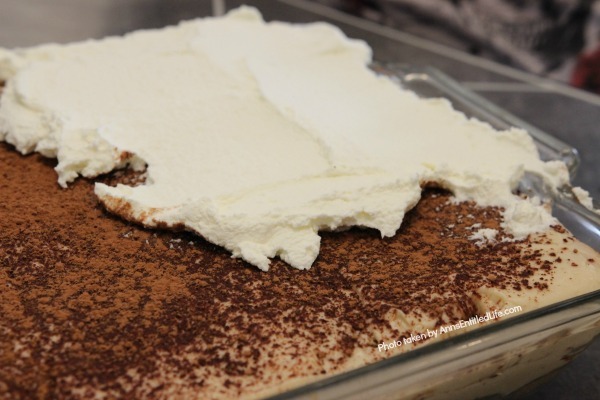 Your Tiramisu recipe will be our new special holiday dessert! 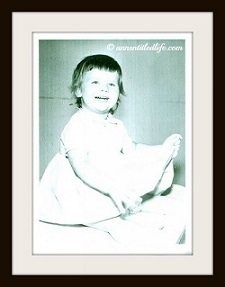 I am so glad your family enjoyed it, Shelly!! 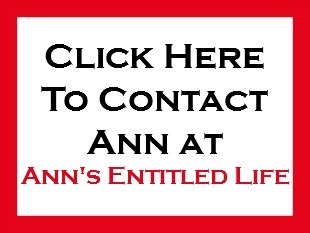 You found my Achilles heal as usual Ann, Tiramisu is my absolute got to HAVE NOW desserts as well. 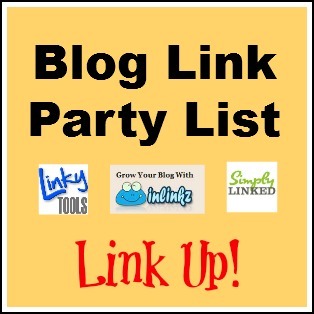 Pinning, sharing, and making for Thanksgiving. Thank you my friend, and happy Thanksgiving to you and your wonderful family! You and me both, lady. 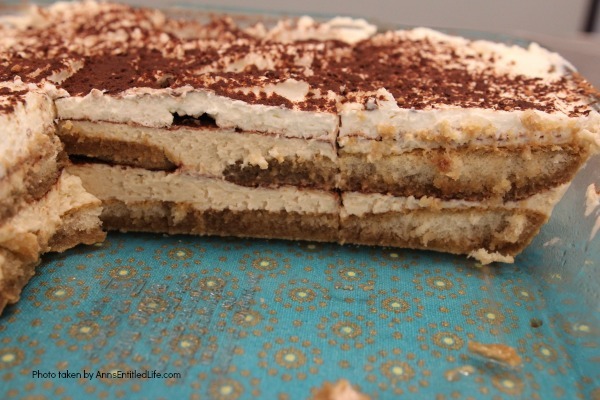 We should get together for a tiramisu day! Make three different kinds and spend the rest of the day sipping wine in a sweets-coma! I hope you and your family enjoy. It might be a tad simple for you, but honestly Didi, it tastes amazing! 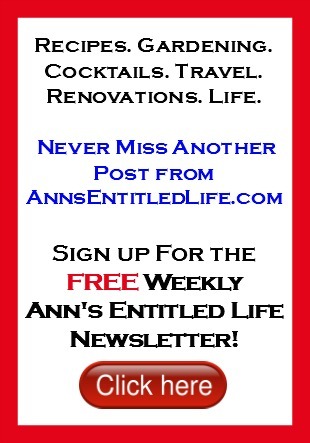 Ann, I have been making a similar one for years but I see you only dip the ladyfinger on one side, right? No wonder mine always was a little wet. The first time I tried making it, I soaked it too much and it disintegrated….smile. 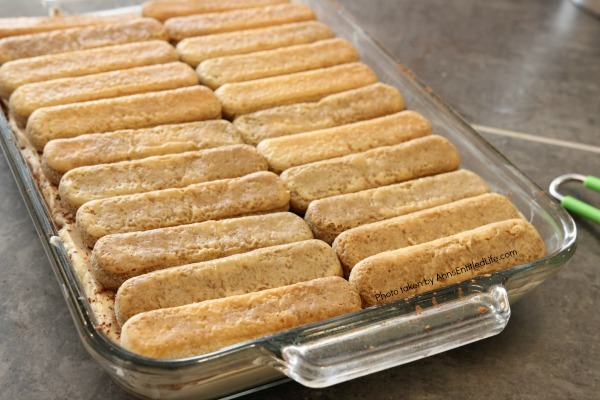 Are there two layers of Ladyfingers? 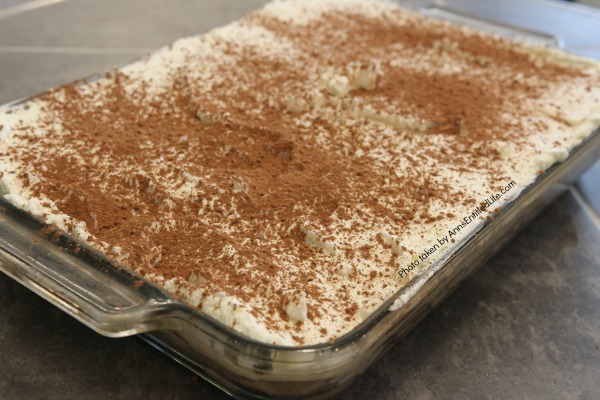 I absolutely love love love tiramisu. I’ve made a few but this one is by far the most simple. What amazes me is how many people have never tried it or even know it exists. They always ask ” what does it taste like?” My answer never changes… It tastes like 10,000 angles dancing on your tongue. Good luck and Happy Holidays. It tastes like 10,000 angels dancing on your tongue. Best description ever!!! And oh so true, Terry. Looks so good! Question- because of the Kahlua this cannot be served to children? That is strictly up to you, Chris. 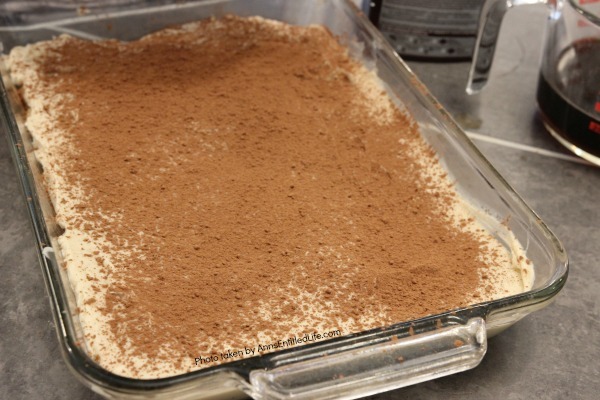 It isn’t baked, so there is half a cup of full strength Kahlua in this recipe (divided by 20-24 servings depending on how you cut the tiramisu). Speaking only for myself, I wouldn’t serve it to a 5-year-old. I don’t have a stand mixer. Is that a problem? This is a very good recipe. My friend made it yesterday and it was so good that she gave me the name of the recipe and I am going to make it for Super Bowl! I do make one but I really think this one is better!